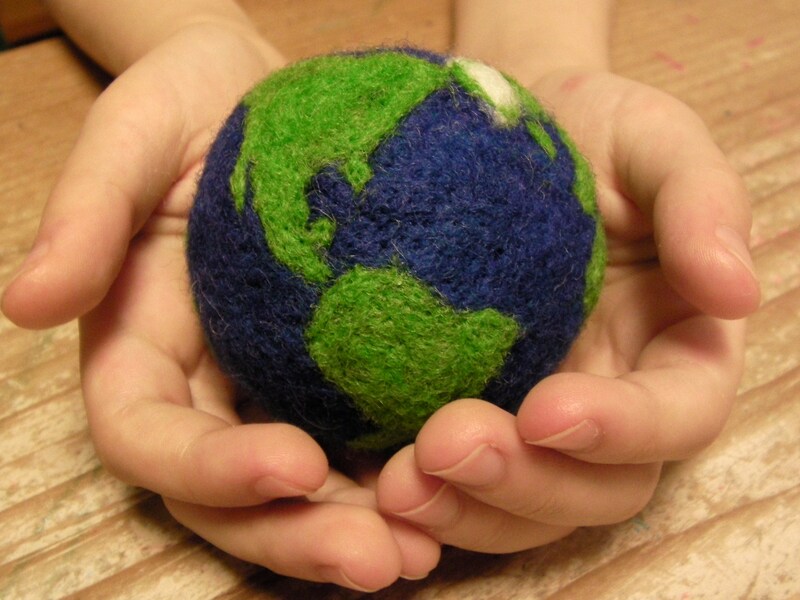 A Felted Earth . 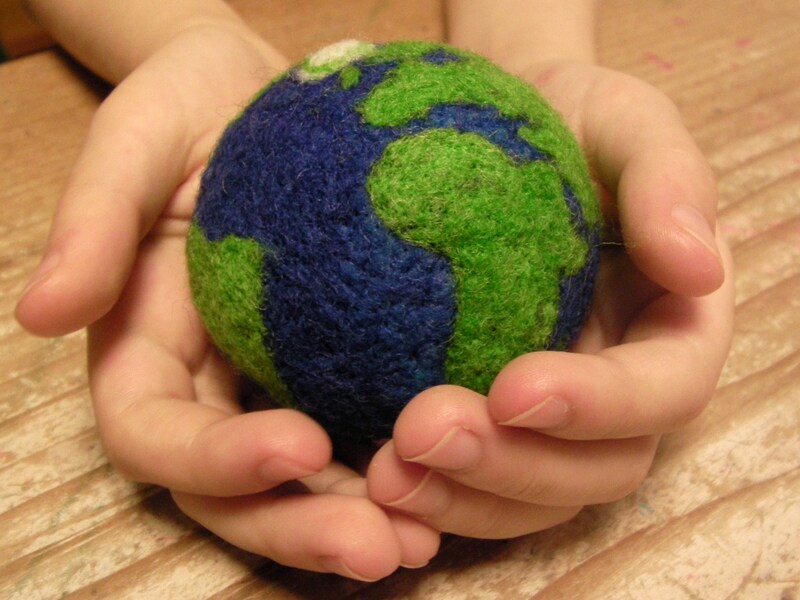 . . Holding the World in Your Hands! It’s back to school time for a lot of kids around my area of the world. So, I decided to make something for the occasion. I’ve been homeschooling my children for about 7 years now; last year, my son was given the project to make a map of the world, and he did a fantastic job of it. Following in his footsteps, I’ve decided to jump start the school year with a serious lesson in geography by creating a felted model of our little home-EARTH! This was no easy task; and I’m pretty sure that the north-south axis is a little off. 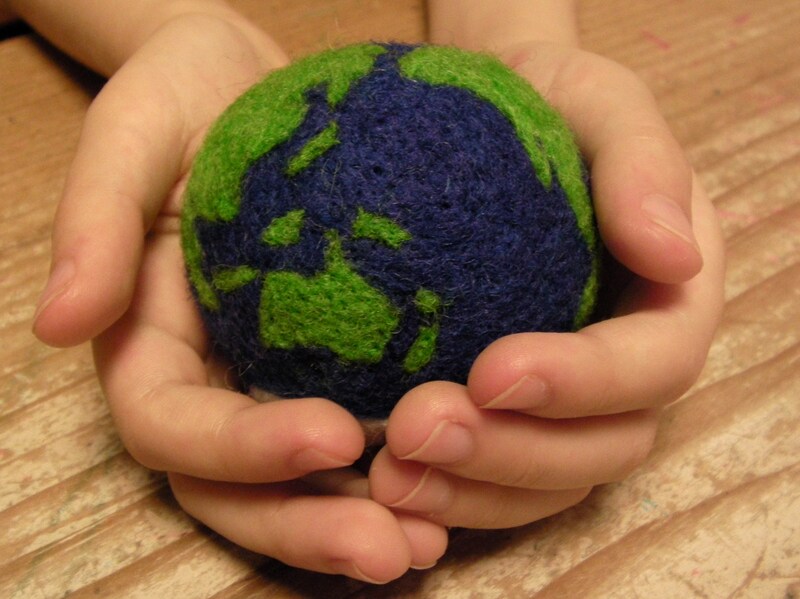 If this felted planet was home to millions, they would be in big trouble. I got lost in the deep blue of the ocean and my mind started to drift during those stages. I honestly felt a little anxious, as if I was in the middle of an ocean. As a model, I’ll be honest, every continent has lost a little shoreline and Asia is probably proportionally larger than it even is in real life. And it’s a huge continent! 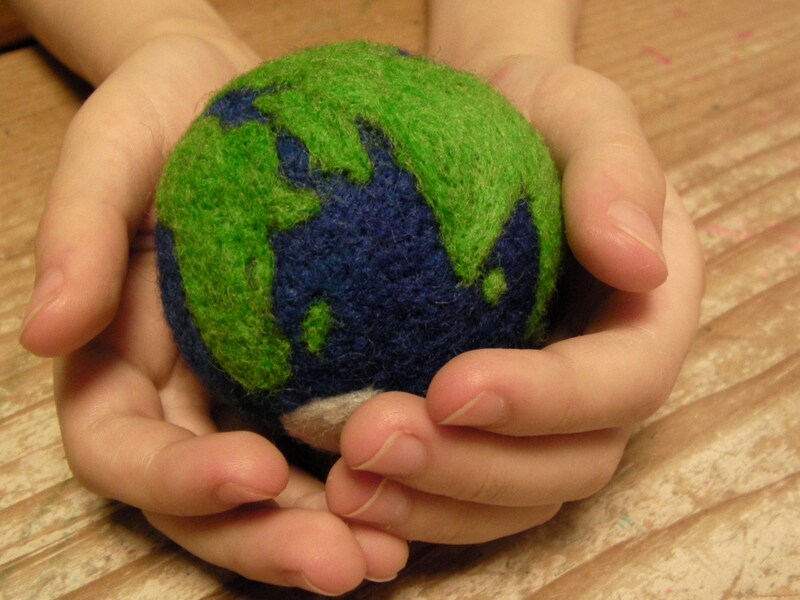 For a toy, I think that this felted Earth is just perfect. Who doesn’t want to hold the world in their hands. All of my kids did! Is the earth ball for sale and how big is it? Most of the items displayed on this site will be available for purchase in the near future. If you are interesting in purchasing something now, write me on my contact page and I will get back to you. Thanks for visiting!